Welcome to paradise! 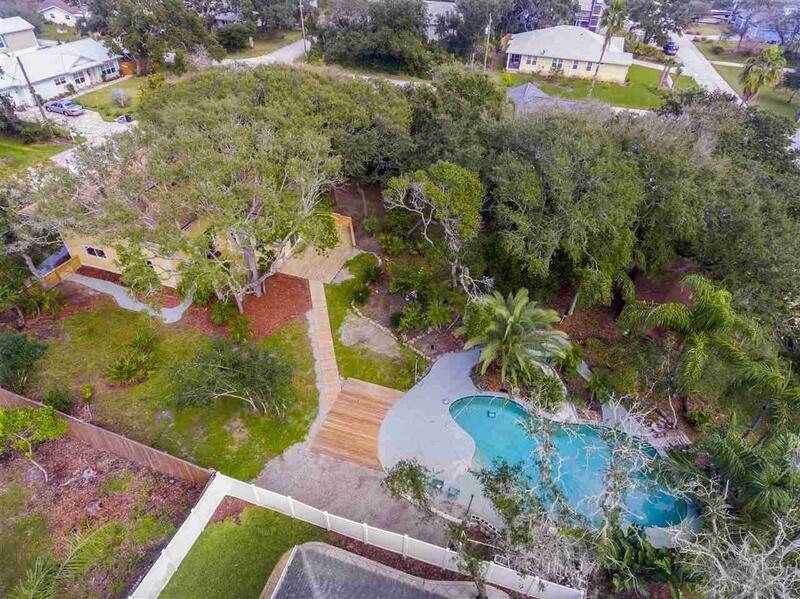 Rare opportunity to own an amazing piece of Vilano Beach. 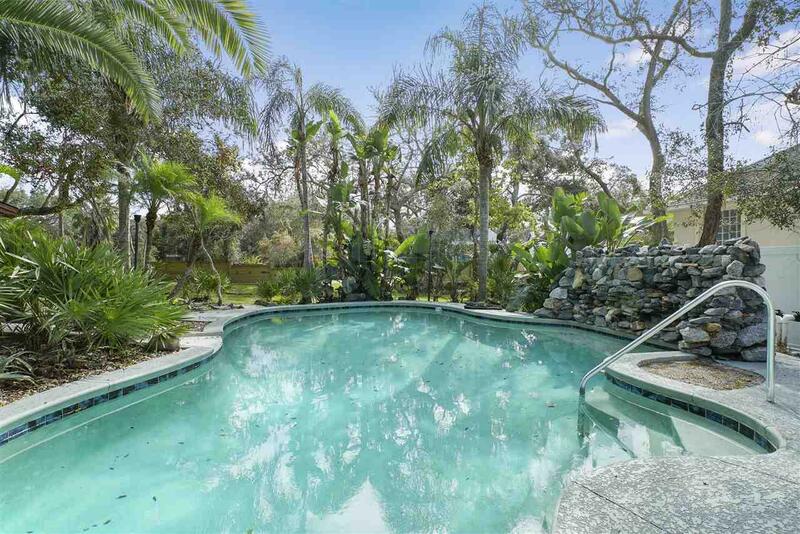 This property includes 4 lots totaling .46 acres with a huge pool. 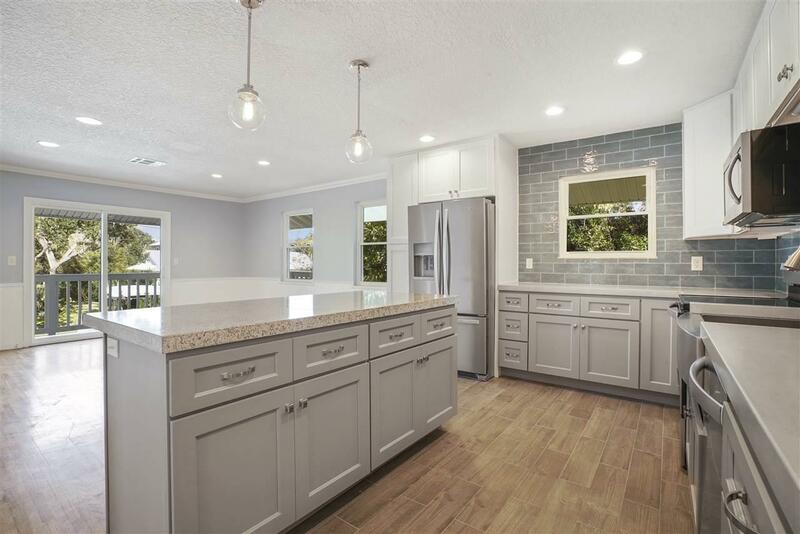 The 4 bedroom, 3 bath home has a brand new kitchen featuring stainless appliances and concrete counter tops. 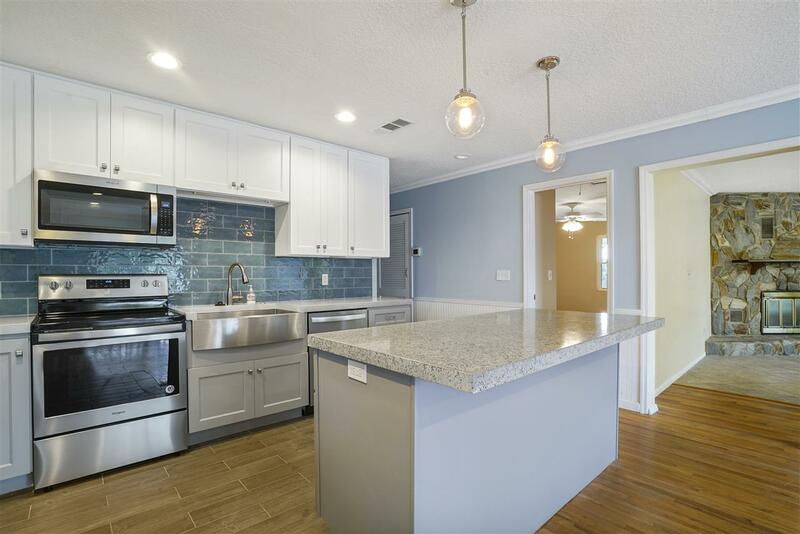 Located less than a block from the intracoastal and 4 blocks to the ocean. Must see to appreciate this natural, tropical oasis including fruit trees. No HOA, bring your boat, RV or both. Separate parking area with power for your RV. All appliance are brand new. Huge laundry room with concrete counter tops. Electrical panel was just replaced. New fence. Roof was replaced in 2013.